Assam Chief Minister Sarbananda Sonowal on Saturday said that Citizenship Bill would not grant citizenship to the people of six minority communities from Pakistan, Afghanistan and Bangladesh but will only allow them to apply for citizenship after they reside in the country for at least seven years. “A sustained misinformation campaign is being carried out over the Bill. The Bill will only allow the people who have entered India before December 31, 2014 to apply for citizenship after a seven-year-long stay in India. 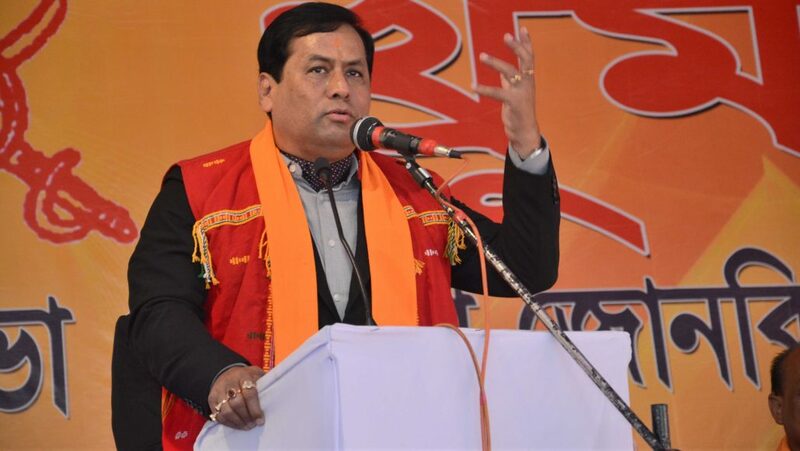 And mere application won’t grant them citizenship, they have to prove they have lived for seven years in India and they were persecuted in those countries,” said Sonowal while speaking at the closing ceremony of the historical Junbeel Mela in Morigaon district of Central Assam on Saturday. This was for the first time that the Chief Minister explained about the Bill in details in the wake of state wide protests against the Bill. Sonowal was waved black flags by some people agitating against the Citizenship (Amendment) Bill 2016 while he was on the way to the Junbeel Mela. “A disinformation campaign has been started. People are told that 1.90 crore people will come from Bangladesh if the Bill is passed. These all are lies. Our government is not going to betray the people who have voted us to power and made me a Chief Minister,” Sonowal said. Sonowal also said that his government is duty-bound to protect the interests of the indigenous communities of the state. He also appealed to All Assam Students’ Union (AASU) along with other intelligentsia to lend their full cooperation to look into full implementation of the Clause VI of the Assam Accord which would ensure safeguarding the interests of the ethnic communities of Assam.